From festivals, to 5Ks, to concerts under the stars, there's always something going on at Breitenbach. See our calendar below for details on upcoming events. 26th Annual Dandelion May Festival! 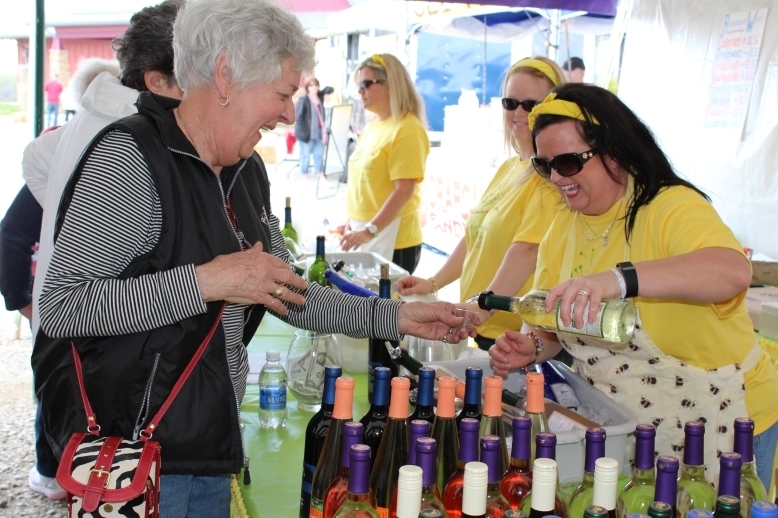 Come to the 26th annual Dandelion May Fest! Shop among dandelion inspired arts and crafts, sample an array of delicious dandelion food, sample award winning Breitenbach wines, food trucks. Scott Paris plays from 12-3 and Acoustic Co plays from 4-7! Chris Donly plays from 12-3 and Imaginary Cookies plays from 4-7! Music and Wine on the Patio! Our beautiful patio will be open today! We will have a selection of wines to taste. You can order from our menu. Items include a selection of wood fired pizzas, chicken salad croissants, cheese plates and flatbreads. Today Zach Shepherd will be performing an acoustic set! Our beautiful patio will be open today! We will have a selection of wines to taste. You can order from our menu. Items include a selection of wood fired pizzas, chicken salad croissants, cheese plates and flatbreads. Today Scott Paris will be performing an acoustic set! Barbecue and Music with Scott Paris! Enjoy the afternoon on our patio! Popular musician Scott Paris will be playing from 1-4. Enjoy lunch either from Cafe Breitenbach featuring wood fired pizzas or Fred's Barbecue featuring BBQ chicken and baby back ribs. We have chilled bottles of wine as well as soft drinks and water. Guided wine cellar tours at 11, 1 and 3! Barbecue and Music with Ren! Enjoy the afternoon on our patio! Popular musician Ren will be playing from 1-4. Enjoy lunch either from Cafe Breitenbach featuring wood fired pizzas or Fred's Barbecue featuring BBQ chicken and baby back ribs. We have chilled bottles of wine as well as soft drinks and water. Guided wine cellar tours at 11, 1 and 3! Wine/Succulent Workshop with The Garden Gurl! #WinedownWednesday has reached a new level! Summer Party on the Patio! Our patio is open late! Bunker Hill BBQ will be serving delicious dishes and Broken Transmitter will be providing live acoustic music! Breitenbach wine available by the glass or bottle! Bring your friends and we'll see you then! Barbecue and Music with Chris Bell! Enjoy the afternoon on our patio! Popular musician Chris Bell will be playing from 1-4. Enjoy lunch either from Cafe Breitenbach featuring wood fired pizzas or Fred's Barbecue featuring BBQ chicken and baby back ribs. We have chilled bottles of wine as well as soft drinks and water. Guided wine cellar tours at 11, 1 and 3! Summer Party on the Patio with Smalls! Our patio is open late! Bunker Hill BBQ will be serving delicious dishes and Smalls will be providing live acoustic music! Breitenbach wine available by the glass or bottle! Bring your friends and we'll see you then! Summer Party on the Patio with Brothers! Our patio is open late! Bunker Hill BBQ will be serving delicious dishes and Brothers will be providing live acoustic music! Breitenbach wine available by the glass or bottle! Bring your friends and we'll see you then! Join us for a relaxing evening of Yoga under the Pavilion at Breitenbach Winery's Toolshed, followed by Breitenbach Sangria and Park Street Pizza. This class is for beginners to advanced. Two pieces of pizza, a glass of sangria, and the relaxing yoga and atmosphere make this the perfect night. The option to stick around and purchase another glass of sangria is available. Barbecue and Music with Max Beal! Enjoy the afternoon on our patio! Popular musician Max Beal will be playing from 1-4. Enjoy lunch either from Cafe Breitenbach featuring wood fired pizzas or Fred's Barbecue featuring BBQ chicken and baby back ribs. We have chilled bottles of wine as well as soft drinks and water. Guided wine cellar tours at 11, 1 and 3! Summer Party on the Patio with Saxy Rob! Our patio is open late! Canal Street Diner will be serving their special dishes and Saxy Rob will be providing live acoustic music! Breitenbach wine available by the glass or bottle! Bring your friends and we'll see you then! Enjoy the afternoon on our patio! Popular musician Chris Donley will be playing from 1-4. Enjoy lunch either from Cafe Breitenbach featuring wood fired pizzas or Fred's Barbecue featuring BBQ chicken and baby back ribs. We have chilled bottles of wine as well as soft drinks and water. Guided wine cellar tours at 11, 1 and 3! Summer Party on the Patio with Scott Paris! Our patio is open late! Canal Street Diner will be serving their special dishes and Scott Paris will be providing live acoustic music! Breitenbach wine available by the glass or bottle! Bring your friends and we'll see you then! Barbecue and Music with Zach Feller! Enjoy the afternoon on our patio! Popular musician Zach Feller will be playing from 1-4. Enjoy lunch either from Cafe Breitenbach featuring wood fired pizzas or Fred's Barbecue featuring BBQ chicken and baby back ribs. We have chilled bottles of wine as well as soft drinks and water. Guided wine cellar tours at 11, 1 and 3! Our patio is open late! Bunker Hill BBQ will be serving delicious dishes and Scott Paris will be providing live acoustic music! Breitenbach wine available by the glass or bottle! Bring your friends and we'll see you then! Our patio is open late! Bunker Hill BBQ will be serving delicious dishes! The Killer Wails will be playing acoustic music. Breitenbach wine available by the glass or bottle! Bring your friends and we'll see you then! 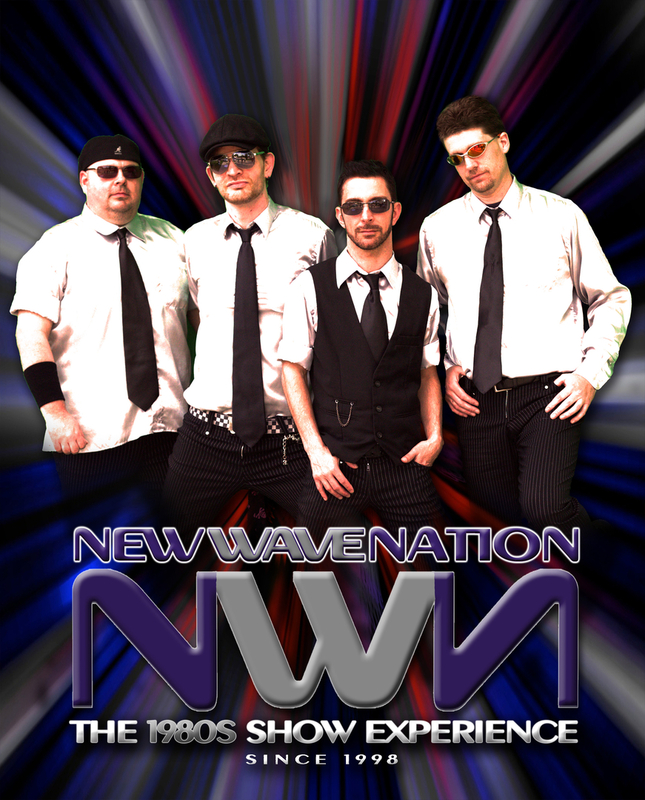 New Wave Nation Concert Under the Stars! Our patio is open late! Canal Street Diner will be serving delicious dishes and Smalls will be providing live acoustic music! Breitenbach wine available by the glass or bottle! Bring your friends and we'll see you then! Barbecue and Music with Zach Shepherd! Enjoy the afternoon on our patio! Popular musician Zach Shepherd will be playing from 1-4. Enjoy lunch either from Cafe Breitenbach featuring wood fired pizzas or Fred's Barbecue featuring BBQ chicken and baby back ribs. We have chilled bottles of wine as well as soft drinks and water. Guided wine cellar tours at 11, 1 and 3!